This is a great blog, useful information! I'm bookmarking it to come back often! Thanks for the success points as they are certainly helpful. 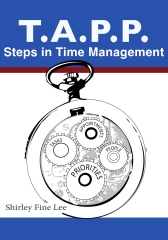 Thanks for sharing this great video and these very useful time management tips. I can always use organization advice...have you been looking in my closet? Your article made me smile. This is a very informative and very well thought of blog. Thanks for sharing your ideas and tips. Continue blogging. Thanks for the Twitter advice. Will keep the tips in mind. Awesome poem catching the past and present. Thanks for the ofice supply swap idea and the link to paperless office article. Will try to implement some of these ideas at work. Is On Hold Messaging Really Good Customer Service? Does Your Business Need A Social Web Footprint on Facebook or LinkedIN? More on how to have a RARA meeting! Should you send clean business emails? What is a RARA meeting? Are you doing organizational remodeling? White Christmas or Snow Hazard? Finding business gifts should be easy! Are Bonuses the Best Sales Motivation Reward? Who and what has your team meetings hung up? Is Business Recession an Excuse for Bad Customer Service? Looking For an Example of Great Customer Service? Is Good Customer Service Dead? Are corporate events appropriate in these economic times? 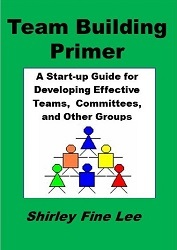 Do group solutions to your business problems just satisfice? What is the right size for a team? Is Bosses Day appreciation or a reminder of necessary leadership skills? How hot is your coffee leadership energy level? What flavor is your leadership style? Do presentations eat up meeting time by including too many slides? Is it procrastination or good prioritization that prevents working on that task? Has the code of dress for success changed with fashion trends? Are effective meetings and good time management the same? Are empowerment and teams buzzwords now?